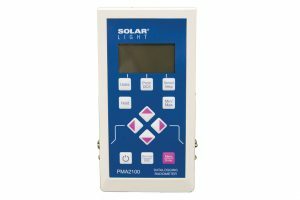 Advanced automated dose controller and meter for PMMA plate pre-irradiation in vitro to meet ISO24443 and FDA requirements, sunscreen testing in vivo to meet ISO24442 and FDA requirements, accelerated UV testing of materials / fade and color fastness testing, phototoxicity studies, general biological laboratory research, and photovoltaic cell testing. Solar Light’s innovative DCS-2 Automatic Dose Controller and Meter represents the state of the art methodology required in today’s busy testing laboratories. 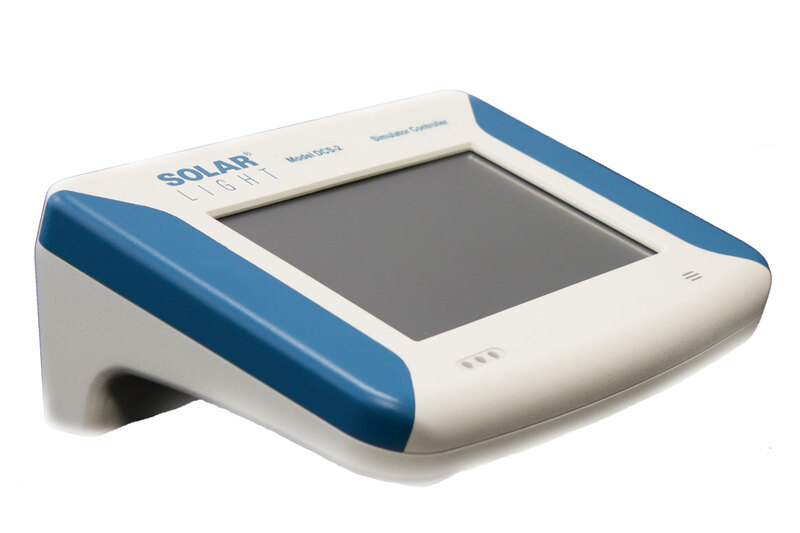 It measures the spectral response following the Erythema Action Spectrum and UVA Spectrum to allow accurate dose control when measuring SPF values in vivo, or during in vitro PMMA plate pre-irradiation. 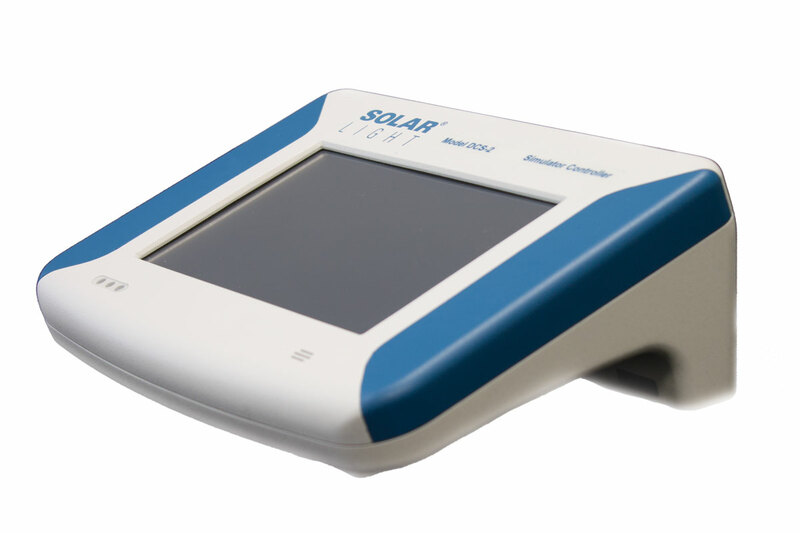 It is also capable of controlling PV Cell Testing procedures and Materials Testing studies. The unit is extremely simple to use, and dramatically reduces the number of keystrokes required to set up and run typical testing procedures. The 7” (17.8 cm) touch sensitive screen features intuitive menus and makes it easy to set control parameters. 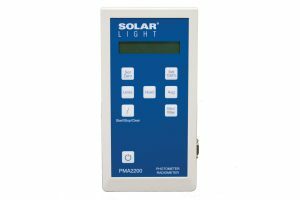 Pre-programmed data from our intelligent PMA-Series sensors eliminates the need to input offsets, calibration data, and units, and saving even more valuable time. 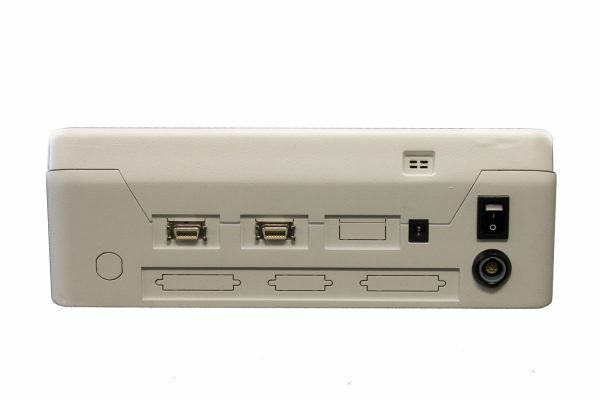 In the event of a fault arising during a run cycle, the DCS-2 provides a visual fault indication, and automatically closes the simulator’s shutter, reducing the chances of false reporting. 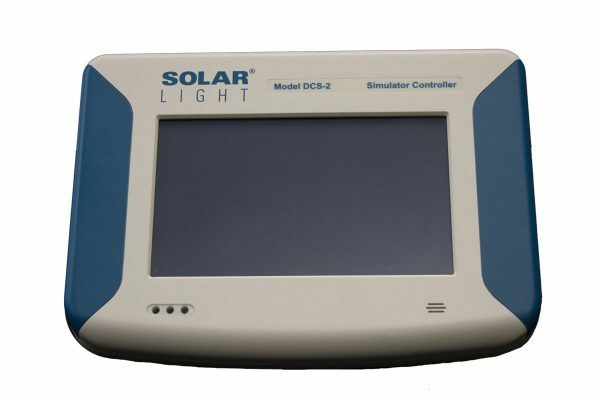 Dose Control Meter Model DCS 2.0 literature.